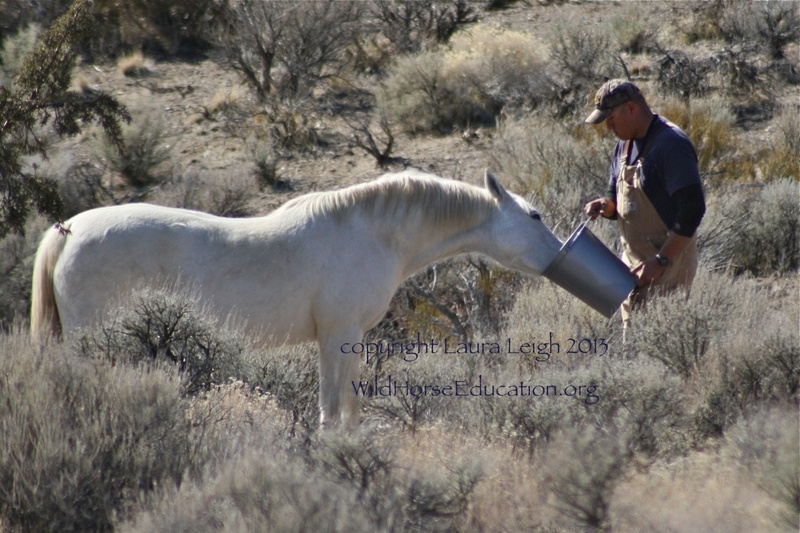 In between working on three Federal court cases, including the First Amendment case and the hearing scheduled for April to the Owyhee ten-year plan, Wild Horse Education’s Laura Leigh was frantically fitting in phone calls and meetings addressing the sudden onset of issues at Deer Run. The Deer Run herd is an isolated pocket of wild horses considered part of the Pine Nut HMA managed by BLM’s Carson City district office. Locals have a special relationship with this herd. Set near homes and a city park, many people that can not travel significant distances to see BLM wild horses would go and photograph these animals. The sudden trapping of 5 members of the band, including the band stallion, sent the local community reeling. Leigh received several frantic calls. 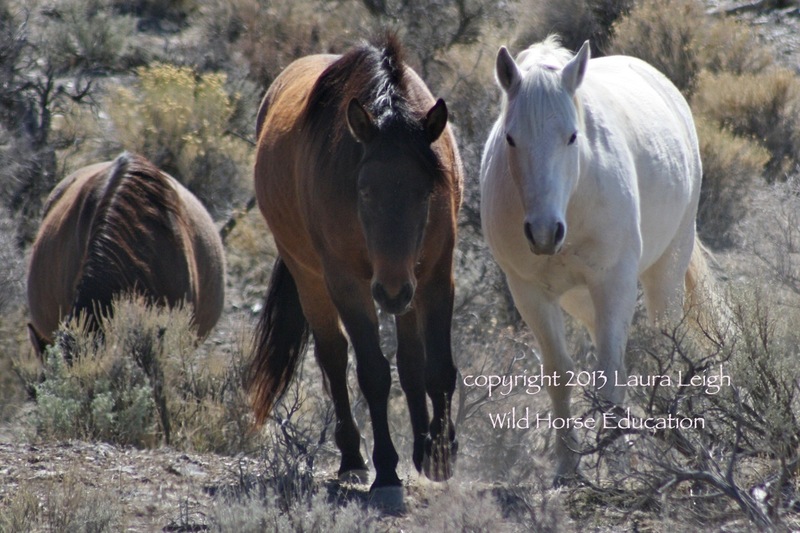 The calls began just days before the hearing on the ongoing (2 1/2) year court battle to document wild horses and burros during capture and housing by the BLM. Leigh ran to the district office, spoke with community members and state representatives. The justification process appears to be based on a mish-mash of infrequent older complaints and tagged loosely to an old environmental assessment to grant authority for the operation. an HMA. It may take a couple of years but the real possibility exists that another band will move into territory now left vacant. The community and BLM will still have to address the need for fences and caution signs, unless of course they simply desire to repeat history again and again. 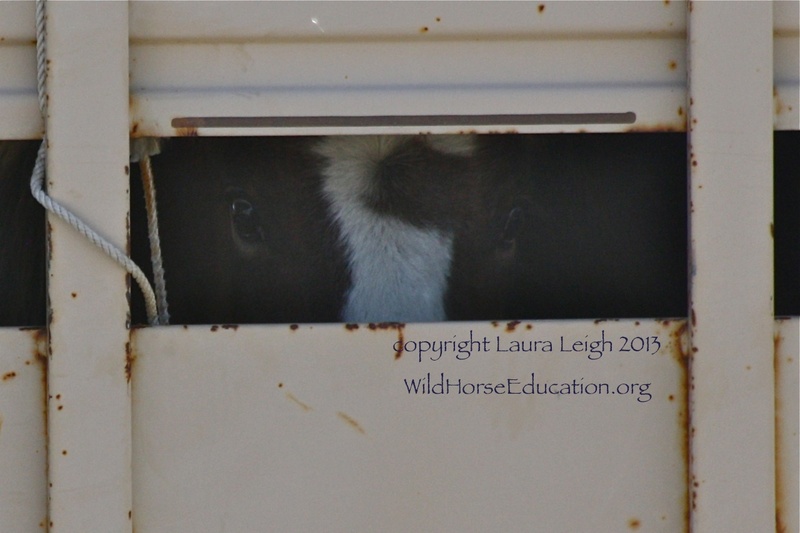 On Monday BLM did agree to move the horses to the Silver Sage Ranch after processing. There the public will be able to see the horses (as the public has no access to the prison) and local adopters will get a first chance to bid on the horses. After being at the BLM office since 7 am yesterday, at the trap and documenting, Leigh put together her reports. Leigh has been working with several journalists on a variety of pieces expected to publish and air shortly. She received a call from the LA Times and her photos and video can be seen on the LA Times Blog. Nevada state Sen. Mark Manendo was also dismayed with the BLM’s activities in Deer Run. 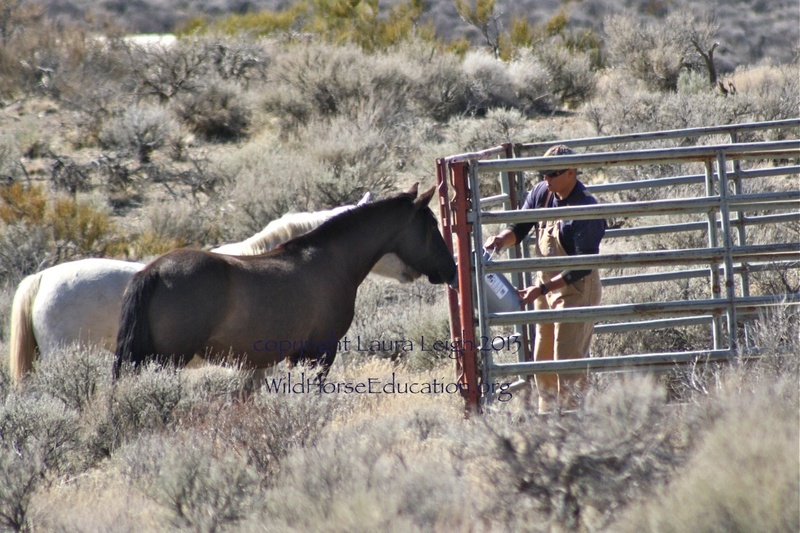 “As an advocate for Nevada and its animals, domestic and wild, I encourage the BLM to exhaust all efforts to work with Carson City citizens dedicated to keeping our wild horses on their native land,” he said, according to the advocacy group’s news release.